Dolomite is a carbonate mineral, dolomite, respectively, iron and manganese dolomite. Its crystal structure as calcite, often has rhombohedral. Case of cold dilute hydrochloric acid will slowly bubble out. Some of dolomite in the cathode-ray irradiation issued orange shade. Dolomite is composed of dolomite and dolomitic limestone of the main mineral components. Ball mill for dolomite powder: Ball mill is the early grinding mill. 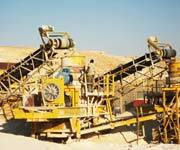 It is used in dolomite grinding plant. Raymond mill for dolomite stone grinding: Raymond mill is widely used in dolomite powder production line. It can grind dolomite into powder with 200 mesh. Dolomite can be used as the transformation of steel when the furnace with refractory lining, slag forming agent, cement raw materials, glass flux, ceramic, fertilizer, building and decorative stone, paint, pesticides and pharmaceuticals and other purposes. Dolomite can be used for building materials, ceramics, glass and refractories, chemicals and agriculture, environmental protection, energy conservation and other fields. Dolomite is the main mineral component of dolomite rock and dolomitic limestone, and can be used for building materials, ceramics, glass and refractories, chemicals and agriculture, environmental protection, energy conservation and other fields. The dolomite powder can be used for basic refractory materials and flux of blast furnace, production of calcium magnesium phosphate and magnesium sulfate; and ingredients for the production of glass and ceramics. The dolomite powder is mainly produced form USA, Mexico, UK, Switzerland, and Taiwan, etc.